In the era of cut-throat competition, a lot goes into making a new product that stands out in the crowd of similar offerings from the competitors. The latest Zenbook from Asus is one of those rare laptops that stands out with its light-weight yet premium design and smooth performance. The form factor is perhaps the USP of the laptop. This Zenbook is much more compact and light than most of its competitors in the segment. The laptop comes with a 14-inch display fitted into a traditional 13-inch notebook. This practically means that the bezels are trimmed to a super-thin 2.9 mm, which looks like a thick line bordering the screen. 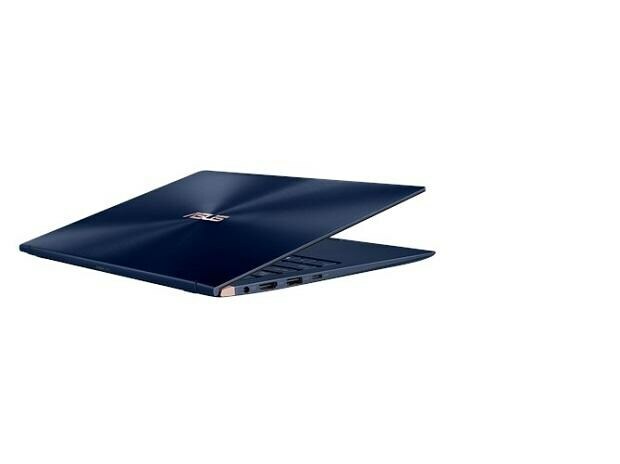 The top as well as the visible part of the chin is minuscule as the majority of the chin is hidden behind the main body as part of what Asus calls the Ergolift hinge mechanism, which lifts the laptop base a bit when opened. The footprint of this laptop is about the size of an A4-size paper and the dark-blue finish and premium feel had me floored. Intel Core i7-8565U CPU is coupled with 16GB of RAM, a 512GB SSD and integrated UHD 620 graphics. While the review unit has an MX150 dedicated graphics card, there are cheaper options that come without a dedicated graphics card. I would personally suggest you go for the laptop with graphics card in case you are into graphics-integrated work. Multitasking on this machine is a breeze and the laptop has a boot time of a mere 25 seconds. I produced videos, edited photos, and played a game or two quite effortlessly without breaking a sweat. A gorgeous display also adds on to the overall experience. The glossy finish screen delivers brilliant colours that give a cinematic feel to whatever you do on the machine. The keyboard is backlit, sturdy and comfortable with a generous 0.6 inch of key travel. The touchpad doubles up as a calculator pad but doesn't offer great utility. Otherwise, there is nothing much to complain about the keyboard. There's face recognition too in case you are concerned about security. As far as the ports are concerned, the laptop comes with all the necessary ones. While the LAN port is missing, ASUS bundles a LAN-to-USB cable in case required but the 802.11ac Gigabit Wi-Fi is good to go for internet connectivity. The sound output from the speakers is just fine for regular work but external sound output is recommended in order to enjoy the precision acoustics that do justice to the 4K display. The webcam, on the other hand, is an absolute let-down for a laptop that costs a premium. Images are grainy and soft even in well-lit conditions and I suggest you to use your phone instead, when you're making video calls or attending Skype conferences. However, the IR camera based Windows Hello facial recognition works well most of the times, provided you are sitting in a well-lit room. Surprisingly, the laptop passed with flying colours on heat management. The ZenBook Pro 14 comes with two cooling fans and three heat pipes, even though it weighs just 1.19 kg. While the laptop stays lukewarm for the most part, heat will hardly be an issue. Battery time is decent and lasts almost a day, depending on usage. The build quality is sturdy and the sleek metallic finish makes the laptop an eye-catcher. Overall, the powerful innards, impressive display, a remarkably compact chassis and dogged performance make the laptop one of the best ultrabooks in 2019. 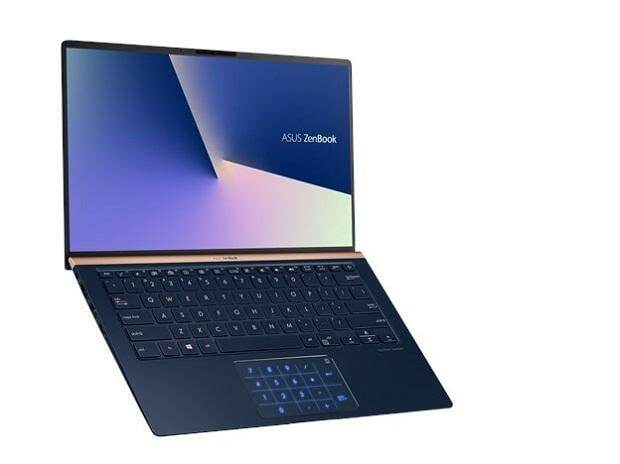 The ZenBook 14 price in India starts from Rs 72,990 and goes over a lakh depending on the hardware specifications and can be an exciting purchase in case you're looking for a powerful driver for daily office as well as some creative weekends.